Every Rioja vineyard is in the Ebro River Valley or in the valleys of its tributaries. But each section is different, with geographical features that result in considerable biodiversity. 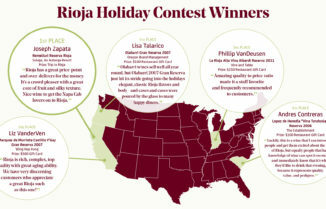 This helps shape the taste of the wine, and explains why Rioja wines vary in both flavor and style across the region. 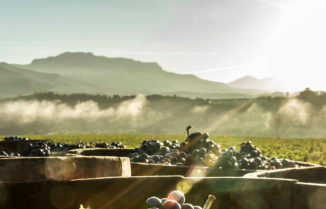 Knowing the differences in these terroirs can be the extra bit of knowledge that helps your customer base make the right decision, or the extra fact that leaves a lasting impression. One thing that many people forget is that Spain is only second to Switzerland in the ranking of Europe’s most mountainous countries. Mountains play major role in wine production, especially in shielding regions from harsh winds. Each of these terroirs is impacted by mountains differently. This region is situated higher up the Ebro River Valley, toward the headwaters of the Ebro River. That’s where “high” comes from, not from the altitude. Almost half of the vineyards in the DOCa Rioja are in Rioja Alta. Calcareous clay soils in this area produce wines with greater aging ability, and many Reservas and Gran Reservas come from Rioja Alta. In addition cool air from the Bay of Biscay in the Basque country keeps the region lush and fertile. This is the home to some the highest elevation, most remote and highest in quality wines in Rioja Alta. Vineyards near Oja Valley have clay and sandy soils that are often covered with river stones. Wines from Oja are highly aromatic and a bit less acidic, with rich plum flavors and earthy notes of forest floor and tobacco. Vineyards on the north side toward the Obarenes Mountains have the calcareous clay soils mentioned above, giving the wines more minerality, red-fruit flavors with heightened acidity and distinctive tannins. 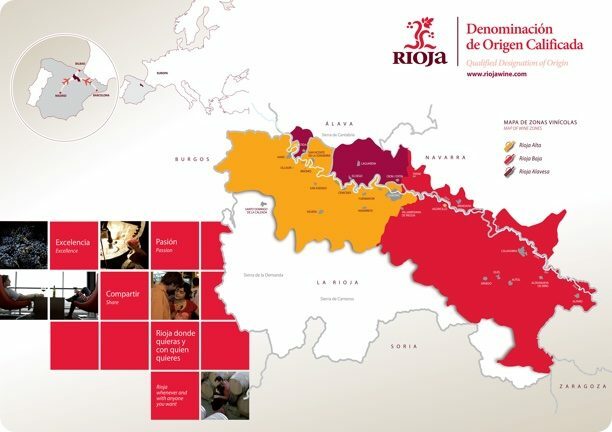 The greatest concentration of wines in Riojais in the Najerilla Valley. Known for beautiful scenery of terraced wine slopes bordered by majestic forests. The region has a large number of older vineyard sites planted with Tempranillo and Garnacha vines that are 80–100 years old. While there’s some calcareous clay soils where the Najerilla River meets the Ebro, the majority of soils here are iron-clay based. Wines often display a smoky tobacco note along with rustic red fruit flavors, with heightened acidity and balanced tannins. The Iregua Valley is the dividing line between Rioja Alta and Rioja Baja, also known as Rioja Media. Iregua is famous for its views of olive, walnut and almond orchards. Because of the warmer temperatures in the region, wines tend to have medium acidity and, if grown in alluvial sandy soils (vineyards here split between them and iron-clay soils), also exhibit softer tannins, balanced with sweet black cherry-plum fruit flavors. Home to people who have always lived for and from the vine. Their passion shows through the region’s very pampered vines. Responsible for a fifth of DOCa wine, Alavesa is distinctly more Riojan than Basque, but embraces both. The terroir here is very similar to Rioja Alta. While it’s further south on the Ebro River Valley than the previous two regions, and considerably warmer, the altitudes here and sprawling vistas are spectacular. 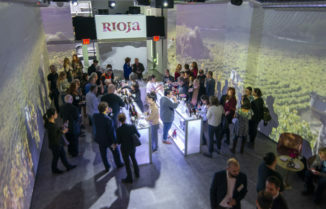 Rioja Baja accounts for 37% of DOCa wine, and it’s the fastest growing region in terms of production. The Cidacos Valley is largely too hot for wine production. However, higher elevation areas here grow some distinctive wines. These are often lighter in color, yet exhibit bold dried red fruit flavors with notes of tobacco. It’s also quite common to find organic wines in this area due to little stress from pests. 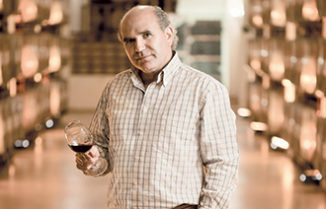 A well-known producer in Cidacos is Bodegas Ontañon. Home to striking canyons the Leza Valley creates a divide between the fertile mountains of the west and drier mountains of the east. Wines in the Leza Valley grow in predominantly iron clay soils, and producers in the region specialize in young, fresh red fruit-driven Tempranillo wines, as well as fruity vanilla scented wines aged a year or more in oak. The Jubera Valley is home to notable wine villages of Murillo de Rio Leza, Ventas Blancas, Santa Engracia del Jubera and Robres del Castillo. Vineyards here have many old vines and typically are hand harvested producing wines showing more complexity and higher acidity than Leza Valley. The Rioja grape harvest begins each year in the Alhama Valley. Alhama borders the wine regions of Navarra and Campo de Borja. The finest vineyards in this area can be found in the valley high up in the mountains, which are part of the Alhama Biosphere Reserve, recognized by UNESCO for its rich diversity of flora and fauna. Classic wines from Alhama have rich black raspberry flavors with subtle notes of cigar box and vanilla bean. The growing power and subtle differences throughout the landscape are vast, and are crucial in explaining the nuances in Rioja wines. Soil information from WineFolly.com, sourced from The Wine Region of Rioja.